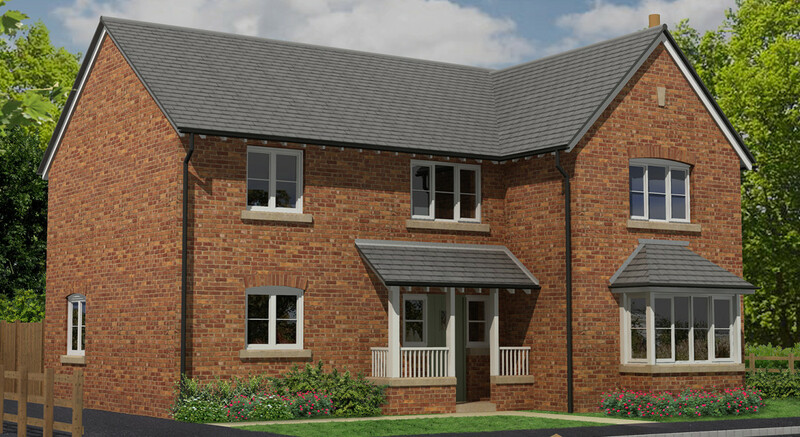 Calder is a four bedroom detached home at Johnson Hall Park, an exclusive new development situated on the outskirts of Eccleshall. Calder has a detached garage and plenty of space inside and out, making a wonderful family home. 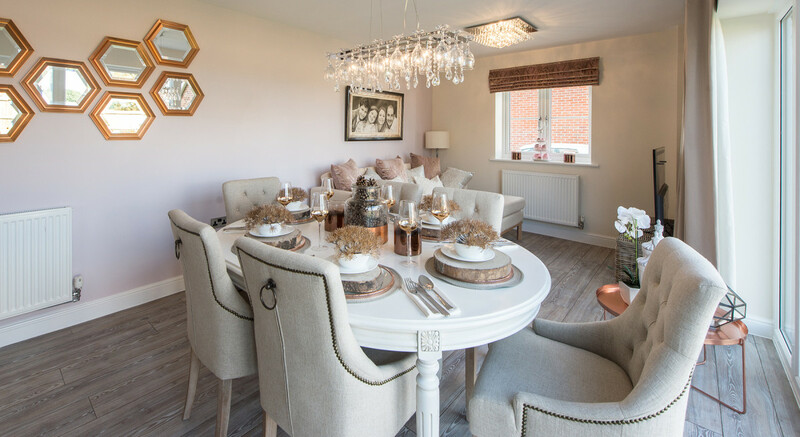 On the ground floor there is a spacious, open plan kitchen/dining/family room with patio doors that open out to the garden. The custom-designed kitchen, which also features a separate utility, is fully fitted with quality units and integrated Zanussi appliances as standard. 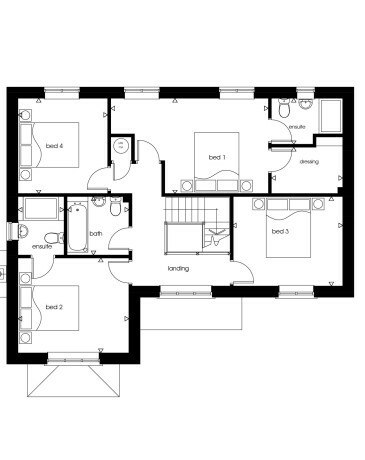 A light and spacious living room, a study and a WC complete the ground floor layout. 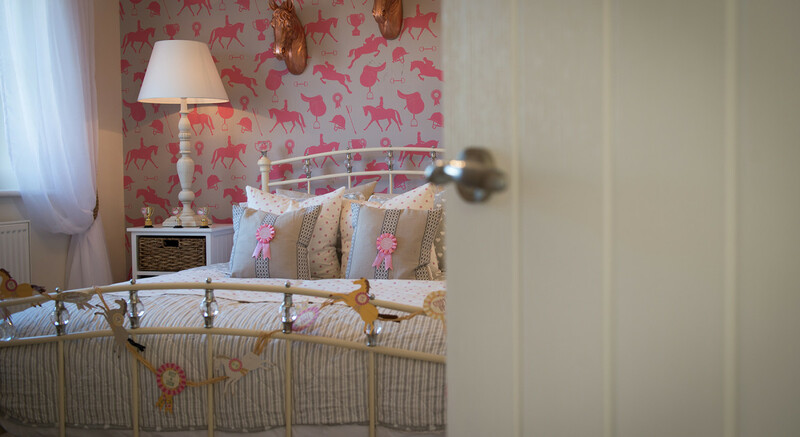 On the first floor the master bedroom has fitted wardrobes and an en-suite with shower. 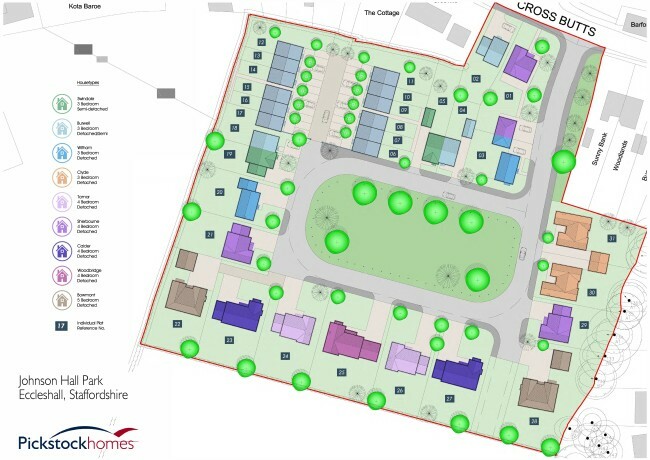 There are a further three double bedrooms, one with en-suite, and a family bathroom. The high specification includes Vitra sanitaryware and ceramic tiles in the bathrooms, Legrand Synergy brushed chrome accessories and oak handrails. 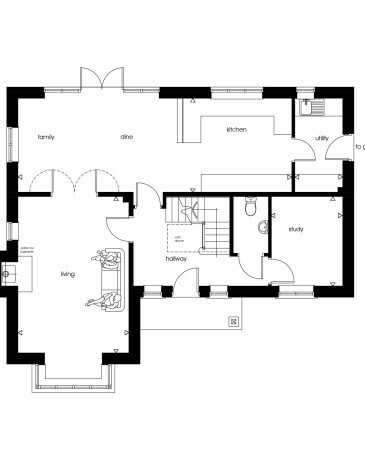 Kitchen / Dining / Family 9.22 x 3.16	30' 2" x 10' 4"
Living	3.73 x 5.26	12' 2" x 17' 3"
Study	2.40 x 3.01	7' 10" x 9' 10"
Utility	1.61 x 3.16	5' 3" x 10' 4"
WC	1.18 x 1.90	3' 10" x 6' 2"
Bedroom 1	5.31 x 3.20	17' 5" x 10' 5"
En-suite 1	2.40 x 1.54	7' 10" x 5' 0"
Bedroom 2	3.73 x 3.19	12' 2" x 10' 5"
En-suite 2	1.55 x 1.97	5' 1" x 6' 5"
Bedroom 3	3.68 x 3.01	12' 0" x 9' 10"
Bedroom 4	3.02 x 3.20	12' 2" x 10' 6"
Bathroom	2.08 x 1.97	6' 9" x 6' 5"